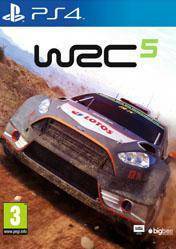 Buy WRC 5 World Rally Championship for PS4 at best price has never been easier! Now you can preorder WRC 5 World Rally Championship for PS4 in any of the online stores that we have selected for you. Since Gocdkeys you will see a price comparison, ordered from smallest to largest price, where you can choose the best possible price for WRC 5 World Rally Championship PlayStation 4, in the best online stores. New installment of one of the most impressive Rally simulators in recent times, with a level of realism and physics that has shocked all fans of this sport. WRC 5 comes loaded with new features compared to previous installments of the saga: New sections, new game modes, new cars, all cars decorations from 2015 season as well as new levels of realism. WRC 5 has been developed by the French study expert in racing games, Kylotonn. A new leap of realism in Rally games that will make us feel like we were in the car forward by impassable roads for any other vehicle and awesome speeds. Please review each of the shops and select the one that best suits your needs (also revised versions since it can bring Bonus). All stores appearing in gocdkeys have been tested by our team so they are 100% reliable, even so, we recommended you read carefully the specifications in each store about the time of shipping, ways of activation (in case it is digital) and methods of payment. There are no comments yet about WRC 5 World Rally Championship. You can be the first one!